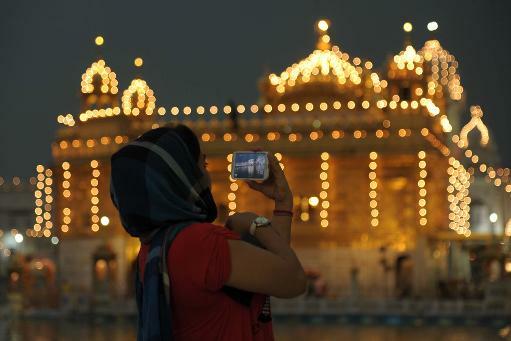 Indian temples have no shortage of gods and goddesses, but if a new Indian startup has its way, they will soon have access to one of the most revered but elusive deities for modern India – free Wifi. PujaShoppe is a Delhi-based company that aims to provide free Wifi services to a thousand temples across India. The company will put up its Wifi signs at selected temples across the country, and users will be able to log in for free for a period of 30 minutes. After they log in, users will be first directed to a dedicated page for the temple, which will give a brief overview of the temple, including its history and its architecture. From this page, users can move on to access any website they wish. The free Wifi is already available at several temples across Delhi, including the Hanuman Mandir at Jhandewalan, the Bhagwat Dham temple and the Sri Digambar Jain Lal Mandir at Red Fort. And PujaShoppe doesn’t intend to stop there. It plans to use its free Wifi initiative for a segue into India’s Rs. 190,000 crore religious market. It already has an an e-commerce arm in place that sells puja items like agarbattis, statuettes of gods and goddesses and little religious trinkets. Its plans seem to be grand – Pujashoppe has already roped in Bollywood star Ameesha Patel as its brand ambassador. But while several startups exist in the Indian space that sell religious items online, PujaShoppe’s Wifi plan could be a masterstroke. With millions of people thronging popular Indian temples on a daily basis, PujaShoppe will have access to unprecedented visibility and branding opportunities. And given its mission statement, the gods are probably on its side too.